Delicious and tasty chewy nogat,with peanut topped with dark chocolate. LOOK! Dark Chocolate Covered Candy Bar. Dark Chocolate candy bar sweetened with molasses and combined with chewy nougat. All filled with fresh roasted peanuts and covered with rich dark chocolate. Case contains 24 ct Look! Candy Bar. 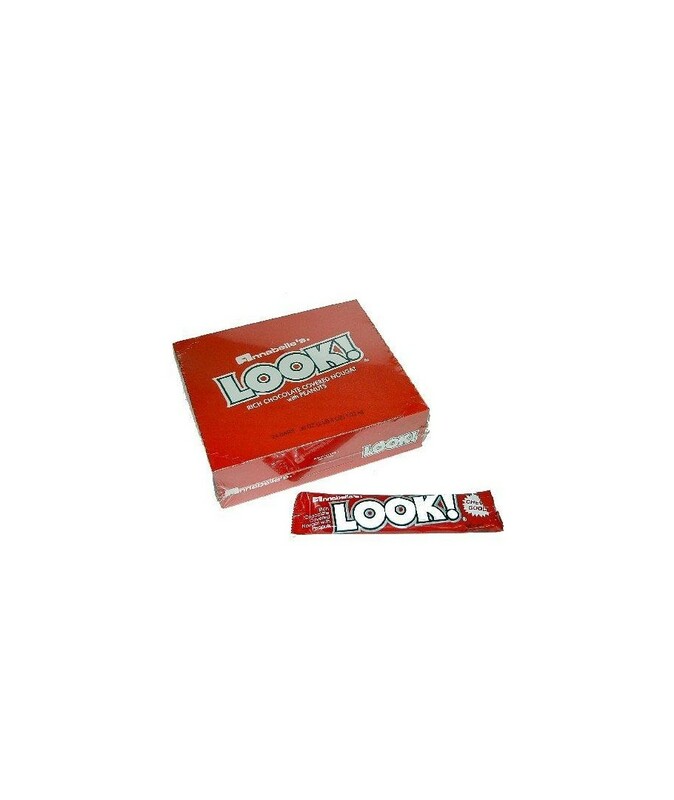 Order Look! Candy in bulk at wholesale price from Volt Candy Online. my kids hold family meeting almost every two days in a week just so that we can each get a piece of this candy. thanks.